This premium mineral blend is powered by sea algae-derived Aquamin® which is rich in calcium, magnesium, and over 74 other trace minerals, including zinc, iron and selenium. It’s Vital Minerals provides superior support for teeth and bones with 250% of the RDA of Vitamin D and maximum calcium absorption with Vitamins K1 and K2 (MK-7), ensuring calcium is fully absorbed by the bones. Besides supporting calcium absorption, Vitamin K2 is also an important nutrient for your heart, supporting your overall cardiovascular health. Vitamin D is a necessary component for the body to fully absorb calcium, and It’s Vital Minerals provides you with 250% of the RDA of Vitamin D. Recent research shows that Vitamin K—specifically Vitamin K2 which may increase bone mineral density—may be just as important for calcium absorption as Vitamin D. It’s Vital Minerals includes a blend of Vitamins K1 and K2 (MK-7) to maximize the body’s calcium absorption, ensuring calcium is fully absorbed and stays in the bones. The nourishment of over 74 trace minerals supports your overall health, including heart health. It’s Vital Minerals specifically supports your heart health and cardiovascular system with the blend of Vitamins K1 and K2 (MK-7) that helps to ensure calcium is fully absorbed by the bones and not released into the blood stream to possibly deposit in other areas of the body. Besides supporting calcium absorption, Vitamin K2 is an important nutrient for your heart, supporting your overall cardiovascular health. The sea algae-derived Aquamin® premium mineral blend found in It’s Vital Minerals is rich in calcium,magnesium, zinc, iron, selenium, and more—over 74 trace minerals in all. This blend of minerals works synergistically to support your overall physical health. The Aquamin® premium mineral blend of It’s Vital Minerals is a natural mineral complex produced from specially harvested red marine algae found off of the coast of Ireland. This natural source offers superior bioavailability, ensuring your body receives the maximum benefits of these vital nutrients. It’s Vital Minerals is available for individual purchase or as a part of the It’s Vital Complete Nutrition Pack, which gives you a premeasured, daily packet containing It’s Vital Minerals, It’s VitalTM Omega-3, and It’s VitalTM Core Nutrition. It’s Vital Complete Nutrition Pack meets all of your daily vital nutrition needs by combining the essential nutrients and vitamins of It’s Vital Core Nutrition and the triple strength support for your heart health found in It’s Vital Omega-3 with the premium minerals and superior calcium absorption of It’s Vital Minerals into one convenient pack. Take two tablets daily. To experience best results, we recommend you take It’s Vital Minerals with your first meal of the day. It’s Vital Minerals is designed for adult use and is not recommended for children. Always consult your pediatrician before giving any supplements to children. Get the core nutrients you need right when your body needs them with the cutting edge ingredients of It’s Vital Core Nutrition Formula. This plant-based, whole-food multivitamin supplies the essential antioxidants, phytonutrients, and vitamins you need throughout the day with controlled-release technology, giving you sustained nourishment for up to 12 hours. It’s core nutrition for your best health! It’s Vital Core Nutrition is a whole-food multivitamin that meets your core nutrition needs with essential vitamins, antioxidants, and phytonutrients. It is naturally derived from over 30 pesticide-free, plant-based ingredients, including broccoli, carrot, orange, blueberry, strawberry, kale, and more. These premium natural sources provide increased amounts of Vitamins A, D, B6, B12, C, and E.
It’s Vital Core Nutrition supplies your body with the essential vitamins, antioxidants, and phytonutrients you need for the best overall health and wellbeing right when you need them. With patented controlled-release technology that mimics the way nutrients are naturally released from foods in your body, you’ll experience sustained nourishment that lasts for up to 12 hours and responds to your body’s stress levels and nutritional needs. The mind/body energy blend keeps you energized and sharp mentally and physically while the improved metabolic support helps sustain your energy and boosts your body’s ability to burn calories. Take three tablets daily. To experience best results, we recommend that you take It’s Vital Core Nutrition with your first meal of the day. No, It’s Vital Core Nutrition does not contain iron. I don’t like swallowing some supplements. Can I cut It’s Vital Core Nutrition in half? It’s Vital Core Nutrition tablets are small and easy to swallow with a sweet minty coating to help them go down smoothly. We recommend that you not crush or cut the It’s Vital Core Nutrition tablet as this will decrease the effectiveness of the patented controlled-release technology and you may not experience sustained nourishment throughout your day. No, It’s Vital Core Nutrition is gluten free. We recommend that you not take Advanced Formula Fat FighterTM within an hour or two of taking It’s Vital Core Nutrition as Fat Fighter could decrease the bene ts and e ectiveness of some of the essential vitamins, phytonutrients, and antioxidants found in It’s Vital Core Nutrition. The patented controlled-release technology responds to your body’s nutritional needs to give you the essential vitamins, antioxidants, and phytonutrients you need right when you need them. By following your body’s natural digestion, It’s Vital Core Nutrition gives your body the sustained nourishment it needs to keep you running strong all day long. It’s Vital Core Nutrition is designed for adult use and is not recommended for children. Always consult your pediatrician before giving any supplements to children. I know at times we could all use a bit of a mood boost!!!! Boost heart health, fight minor inflammation, keep those joints moving, and reclaim that youthful glow with the triple strength blend of DHA and EPA fatty acids of It’s Vital Omega-3. Along with superior strength, fish oil-derived fatty acids, It’s Vital Omega-3 also adds a purifying rosemary-based antioxidant blend to fight the effects of free radicals—all in an easy-to-swallow softgel with a hint of lemon flavor. Are you ready to JOIN the party and find out more about how to become a Distributor with It Works? I will show you how you can market the It Works Ultimate Body Applicator, AKA That Crazy Wrap Thing! 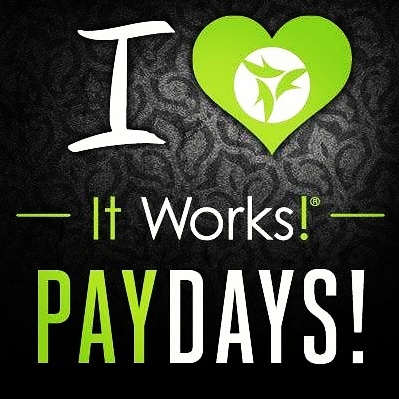 at parties and make cash on each wrap! Now that It Works! Is a debt free company they want you to be DEBT FREE too! Make money doing something you love and work from home. Work the hours you want and where you want! 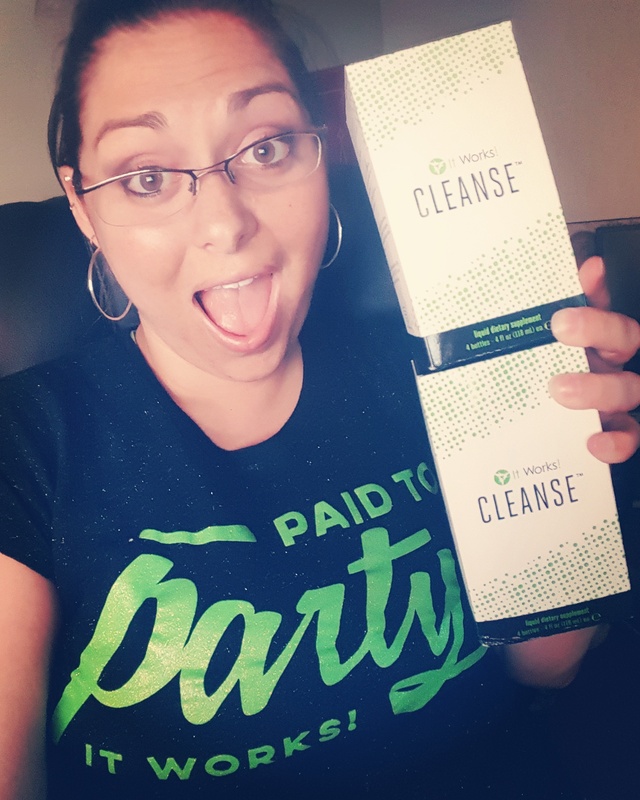 When you become an It Works Independent Distributor, you start earning 10% commission* on every Loyal Customer and Distributor that you sign up. Plus, as the Enroller you earn an additional 5% commission*. You also earn 10% commission* on your 2nd Level Loyal Customers and Distributors. Your commissions* are virtually unlimited as you move up in the career plan. As you promote you earn more commission on more levels! As you promote you can earn the Get Out Of Debt bonus AKA the G.O.O.D bonus! Earn thousands in bonuses each time you promote in a given time period! Earn a $500 bonus all the way up to a $75,000 bonus!!! I know right, how often do people get cash bonuses just for doing their job? There is no limit to how fast you can promote! We follow a simple system called the Steps to Success. If followed, this simple and easy to follow system delivers results! We share the It Works Ultimate Body Applicator Wrap and a ton of other Health & Wellness Supplements and products with others! The products are so amazing it makes things EASY! Do you know anyone that could use extra money? Do you know anyone that is looking for a great business opportunity? Do you know anyone that might have areas on their body that they would like to Tighten, Tone, and Firm? Do you know anyone that would like to be healthier? If you said Yes to any of these questions you already have a group of people to start sharing It Works with! Share It Works! with eveyone you know. Then make new friends and share it with them! Post about it, share pictures about it and be passionate about it! There are endless opportunities to share your business! Friends, relatives, neighbors, Co-Workers, Facebook friends, your stylist, and your gym acquaintances all open up different areas to promote your business! People that you meet at the store, school, at a party and at a playdate all present a unique opportunity to share what you do! So much if this business may not even be who you know, but who they know and who they know! You may be surprised at how many strangers see you on social media and ask you about It Works! Wear an it Works shirt, hat, bracelet or jacket. Put an It Works decal on your car. Make it easy for people to see what you do and you will have people coming to you for business! You will meet so many new people.and make so many new friends and be a part of a Team that you can grow and promote with. Find a team that will support you and encourage you to build your business the best ways you can and help you grow in ways you never thought you could! A year from now you will wish you made the choice to join today!!!! 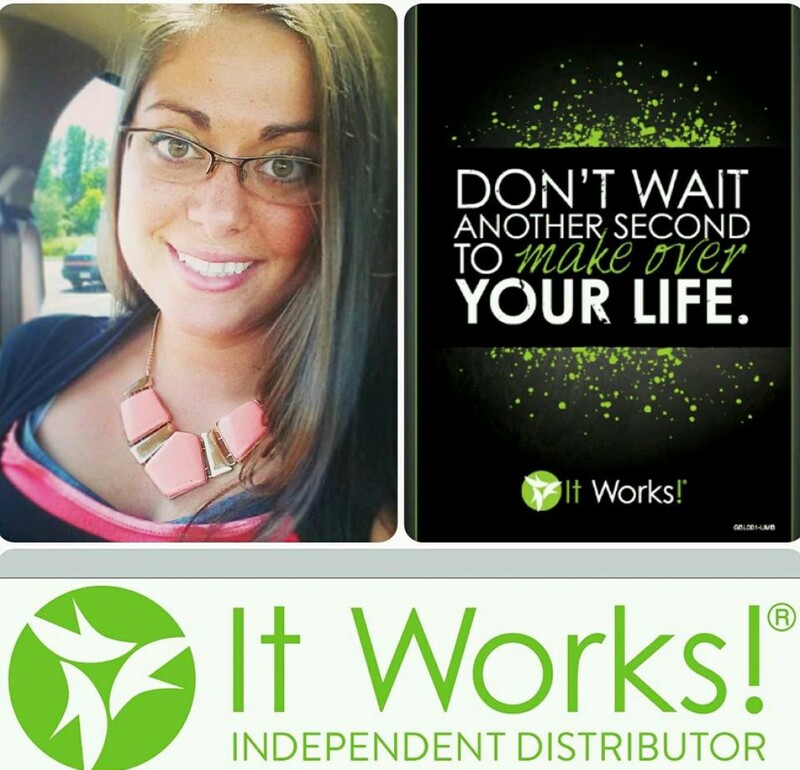 Start with purchasing the distributor kit at annievanatta.myitworks.com for $99. Throw a wrap party and sell all 4 wraps included in your kit for $25 each and make back your initial investment! Hit the ground running and there will be no stopping you or your team! Want a strong, motovational, supportive and encouraging team to be apart of? Join my team and become a part of something that will change your life! Email me at itworksanniev@gmail.com for more info and any questions you may have about It Works products or business!!!! I’d love to start this journey WITH you! Disclaimer: Any references to income on this site represent average earnings and do not guarantee any amount earned. Earnings vary depending on distributor and their businesses. It Works! at home Facial! Who wouldn’t want a facial at home for a fraction of the cost it would be at a spa!!!! Lean head back and position the Face Applicator (lotion side to skin) over your face. Pat it down as you go so that it is in contact all over. Leave on for 45 – 60 Minutes. Once removed, gently massage in the remaining lotion. Discard the Face Applicator after use. Facial is a cream-infused cloth wrap designed to tighten, tone, and rm the skin for the appearance of a lifted, more youthful face in just 45 minutes. It also continuously hydrates for fresher, more luminous skin and a younger looking you! You’ll experience best results with a clean face, so be sure to wash with Cleanser before applying. How long should I leave Facial on? Just 45 minutes! That’s all the time Facial needs to have your skin feeling softer and smoother and looking years younger! For best results, use Facial two times per week. Does it contain the same ingredients used in the Ultimate Body ApplicatorTM? No, Facial does not contain the same ingredients as the Ultimate Body Applicator. It is specifically designed for the face with its own set of soothing botanicals, including aloe, lavender, and green tea leaf extract. Can it be used at the same time I use the Ultimate Body Applicator? Yes, since the formulas are di erent, you can use Facial at the very same time you are using the Ultimate Body Applicator for complete body revitalization! No, it is not speci cally formulated to treat acne. Can you use it while pregnant or nursing? Yes, this is a product that can be safely used by pregnant or nursing moms. However, if you have a concern, please consult with your physician. How should I store my Facials? We recommend that you store your box of Facials horizontally in a cool, dry place. Removes all oil, dirt, and makeup—even waterproof mascara! Pair with the Facial to maximize your results! Wet hands and face with warm water. Apply a small amount of Cleanser on hands. Work into a foamy lather and massage onto face and neck with gentle circular motion. Cleanser is a botanically based gel that gently sweeps away all skin dulling elements, including oil, dirt, pollutants, and even the toughest of makeup, without stripping skin of its natural moisture. Even waterproof mascara will wash right off! Maximize your FacialTM results when you wash your face with soap-free Cleanser before applying the deep hydration mask. For a complete skin-renewing regimen, follow Cleanser with Toner and moisturize with PreventAgeTM in the morning and RepairAgeTM at night. Why is Cleanser good for my skin? Cleanser is a soap-free formula that uses botanical ingredients to gently cleanse and balance the skin. Its naturally based formula is gentle on the skin and rinses cleanly, leaving skin soft, smooth, and balanced. It’s a clean you simply have to feel to believe! Can I use it on my body as well as my face? Yes, Cleanser will give your body an all-over clean. Botanical extracts such as green tea, marigold, and chamomile provide a pleasant, rejuvenating fragrance and give you full-body refreshment. 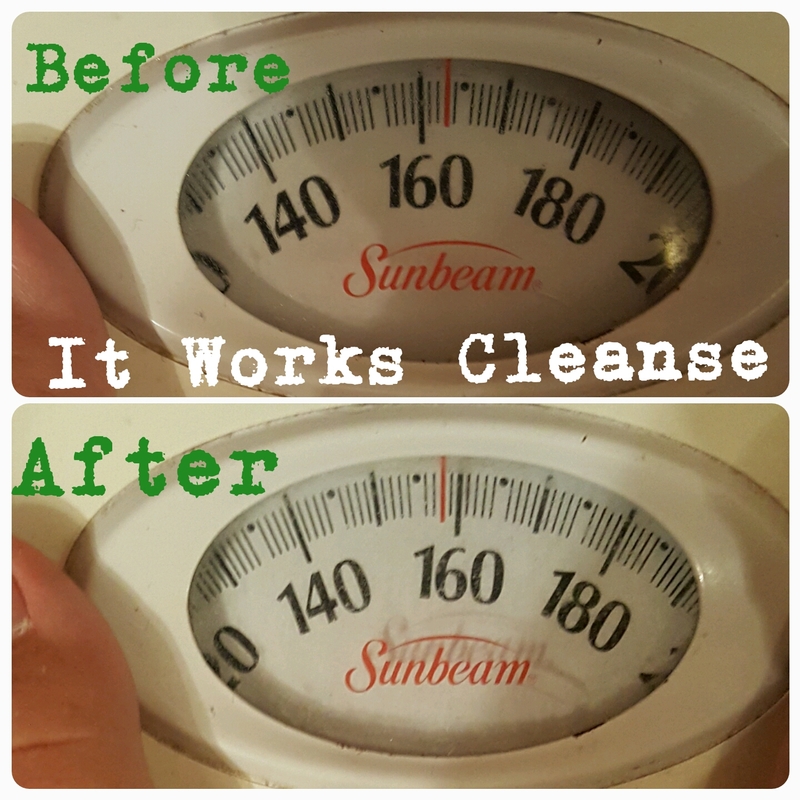 Because it rinses clean with no soapy residue, Cleanser is ideal for removing impurities from the skin before using our best-selling Ultimate Body ApplicatorTM or Facial. Can it be used as a shaving lather? Yes, the silky, clean-rinsing lather of Cleanser will leave your skin feeling soft and smooth after using it as a shaving lather. Is it formulated for a specific skin type? Cleanser is the perfect wash for all skin types. Get ready to take it all off with the Exfoliating Peel! Boost your skin’s natural renewal with a bounty of botanical and fruit extracts that strip away the dead skin cells, excess oil, and daily debris that clog your pores and age your face. Take it all off to reveal softer, smoother, healthier-looking skin and let the more youthful, luminous you shine! If you have acne and bad skin you will be amazed at how much better your skin will look after a few treatments of this amazing peel. Trust me when I say this is amazing at any age!!!! Pair with Cleanser and Facial™ for the ultimate at-home spa experience!!!! What is the Exfoliating Peel? The Exfoliating Peel is a gentle, at home peel that boosts your skin’s natural renewal with a bounty of botanical and fruit extracts that strip away the dead skin cells, excess oil, and daily debris that clog your pores and age your face. By peeling away these skin-dulling elements, Exfoliating Peel helps to reveal softer, smoother, healthier-looking skin and lets the more youthful, luminous you shine! Is the Exfoliating Peel similar to a chemical peel that you would get from a dermatologist? The Exfoliating Peel is a mild, in-home version of a chemical peel you would have done at a dermatologist office. The Exfoliating Peel uses botanically based glycolic acid, lactic acid, and fruit acids to boost your skin’s natural renewal, rather than the harsh chemicals and irritants found in some chemical peels. Will the Exfoliating Peel help acne? The Exfoliating Peel is not specifically for the treatment of acne, but does help strip away dead skin cells and excess oil, which can help in the prevention of acne. Is the Exfoliating Peel safe for all skin types? Yes, the Exfoliating Peel is safe to use on all skin type. Do not apply Exfoliating Peel to skin that is burned, damaged, or irritated. If you have dry skin, apply the It Works! FacialTM after using Exfoliating Peel for a deeply hydrating experience! How often should I use the Exfoliating Peel? For best results, use the Exfoliating Peel twice a week. Now if all of this doesn’t make you want to go home and have a spa day with The Facial, Cleanser and Exfoliating Peel I don’t know what will! Pair them with a nice glass of wine and that’s what I call a great night in! Visit my It Works Store today for ordering information!! Join my team as a loyal customer and save 40% on all orders!! !